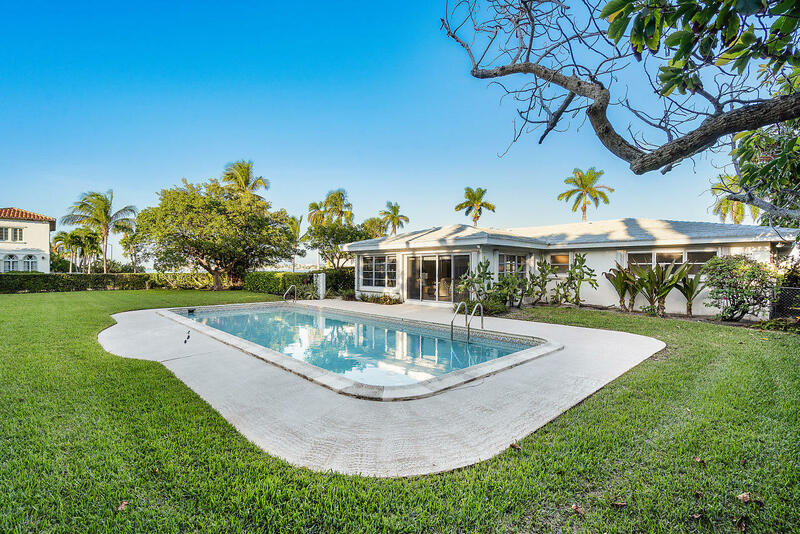 All EL CID homes currently listed for sale in West Palm Beach as of 04/21/2019 are shown below. You can change the search criteria at any time by pressing the 'Change Search' button below. 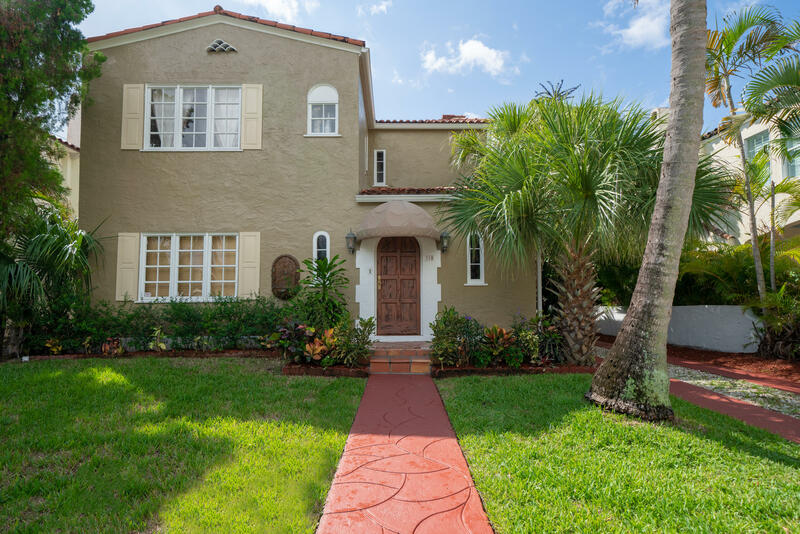 "This direct Intracoastal El Cid Bermuda style home will not disappoint! Beautiful high ceilings throughout, large bright rooms overlooking the intracoastal waterway and Palm Beach Estate homes to the East. To the West, the home opens to a private pool and gardens. 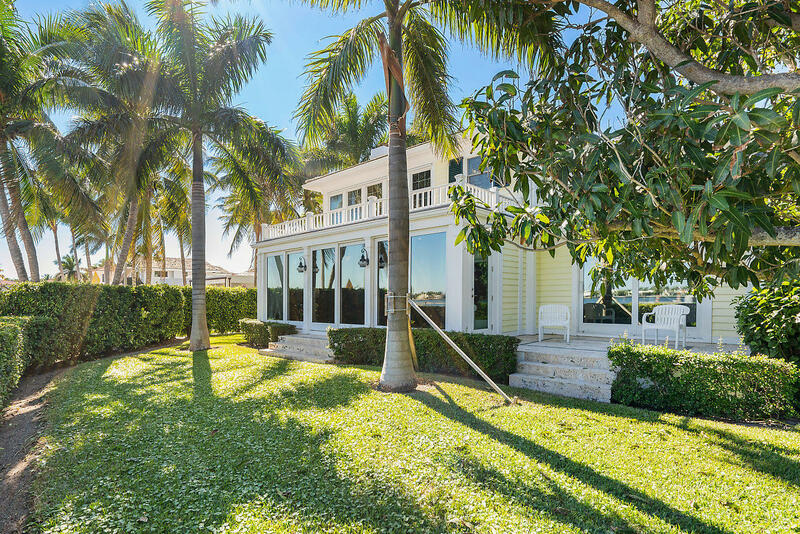 Enjoy a master on the second floor overlooking the intracoastal with sitting room and expansive water views or create the first floor existing bedroom into a master open to your private patio on the intracoastal. This lovely home has plenty of room for family and guests with three large bedrooms with en suite baths and closets in the main house, an exterior bedroom with en suite bath, as well as, an apartment above the garage compete with living room and kitchen!" "Prime waterfront real estate with 142 feet of water frontage. Scenic views of Everglades Island estates across the intracoastal. Opportunity to build your home on a large 20,090 SF lot in the desirable El Cid neighborhood. Seller has approved plans for a new contemporary style home. 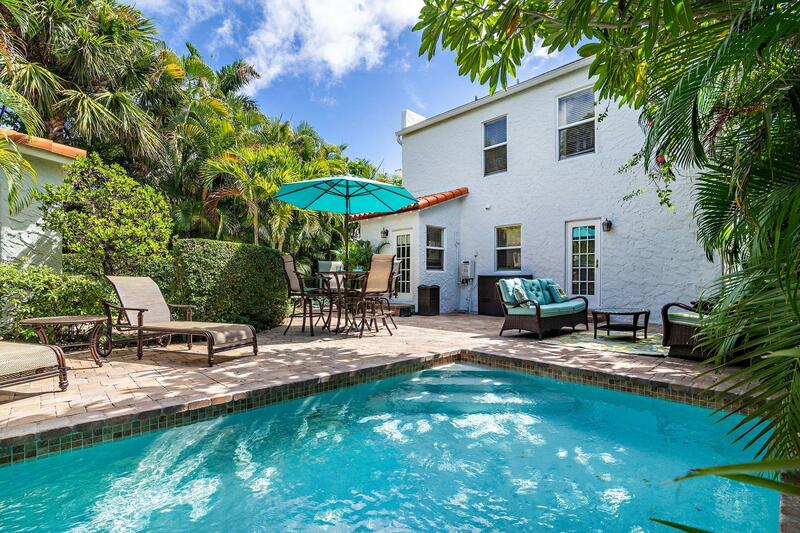 Convenient to I-95, Palm Beach Airport and Palm Beach Island." "Waterfront home with riparian rights along the intracoastal on West Palm Beach's prestigious Flagler Drive. This one-story home features spacious living areas with 4 bedrooms, all new bathrooms and new natural wood-looking tile floors in the heart of the historic El Cid neighborhood. Convenient location for access to downtown WPB, Palm Beach and the airport." 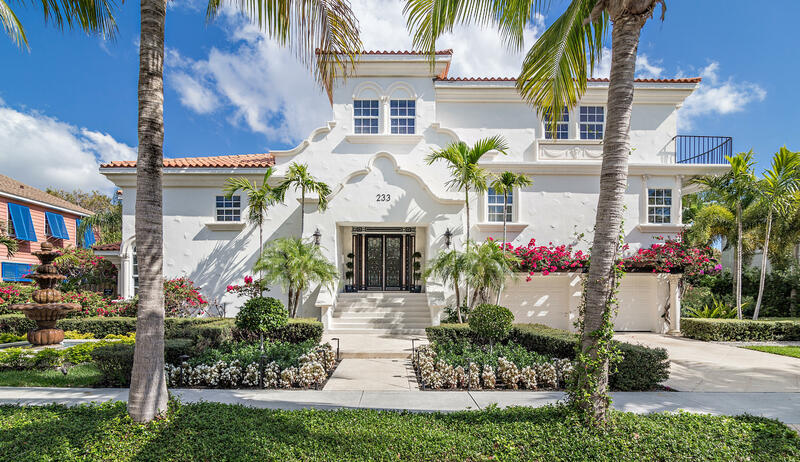 "History comes alive in this Mediterranean style estate originally built in 1925. 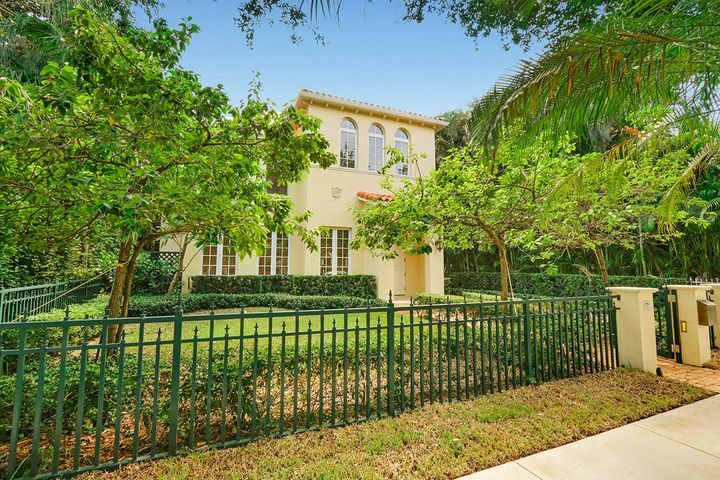 Located on the lake blocked of the historic El Cid district of West Palm Beach, this exquisite home boasts four bedrooms and four bathrooms. From the ground up, this home has undergone a total renovation. this home now The residence features a new foundation, electric, plumbing, beautiful maple flooring, and impact windows and doors. The integrity of the original home is now enhanced with clean, modern lines.The electronically gated property includes a porte cochere, detached garage, and luscious landscaping. In the heart of the home lies a sleek kitchen adorned with custom cabinetry and state of the art appliances. Off the kitchen lies the spacious and bright family room. This three level home featu"
"A feeling of sophistication and elegance abounds throughout this fabulous El Cid masterpiece. 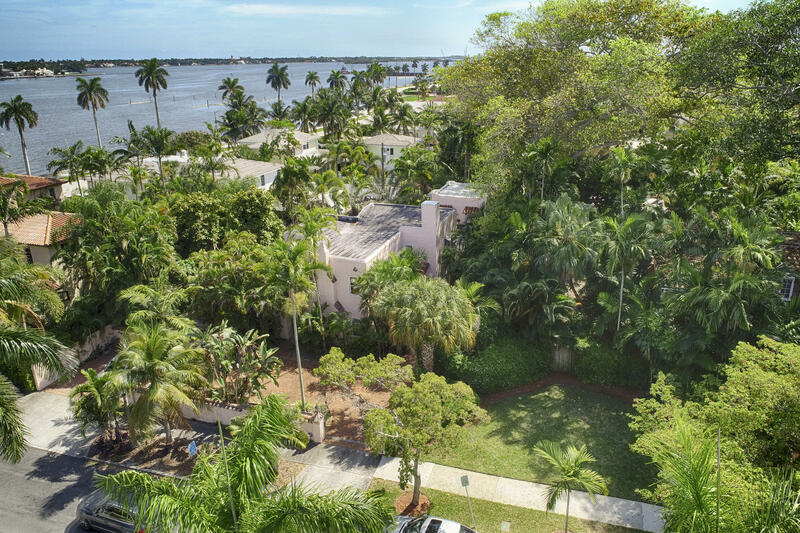 Located on the Lake block with Intracoastal views, this home has been cleverly updated to retain the charm and uniqueness of the roaring 20's while incorporating the best of modern components, far exceeding today's expectations. Spacious rooms with soaring ceilings, leaded glass windows with ornate hardware, a cast stone fireplace, a dual staircase, and museum quality hardwood with decorative floors all work harmoniously to make this home spectacular. The gourmet kitchen has been completely redesigned with custom cabinets, custom lighting, beautiful marble countertops, and the finest appliances all co-existing with the original architectural details from the Mizner era, leaving"
"Stunning El Cid Contemporary Mediterranean! Yes, you can have it all! One look at this beautifully designed 4BR/4BTH, three story residence with elevator, new impact windows, pool & 2 car garage with attached 2 story guest wing. The grand & impressive Mediterranean exterior is enhanced by the striking imported wrought iron double entry doors. As you enter this spectacular home, the vistas are expansive due to the 17 foot ceilings, raised foyer, and marvelous designer interiors. The expansive ''great'' room includes numerous seating areas, dining room & kitchen with a contemporary theme including curved walls & striking elevations. The individual elements of this home combine for an inspiring & gracious lifestyle with expansive window walls bringing the tropical outdoors in." "Enjoy the historic El Cid neighborhood in a fully-renovated, expansive home offering 5 bedrooms, 4.1 bathrooms and numerous living spaces ideal for entertaining. The house boasts soaring ceilings, an exposed brick fireplace, oversized kitchen with a granite island and bar seating opening to a family room, upstairs den, first-floor master bedroom, and 2-car garage. The rear facade offers a covered loggia leading to a lovely pool with a water feature and a private back yard." "This stunning El Cid Estate represents the very best of the roaring twenties. The architectural details are stunning and have been preserved by a recent major renovation which included impact windows and doors, a new roof, a fabulous gourmet kitchen complete with a large pantry and the finest appliances available. The large master suite is located downstairs and is very unique and highly sought after in these historic homes. 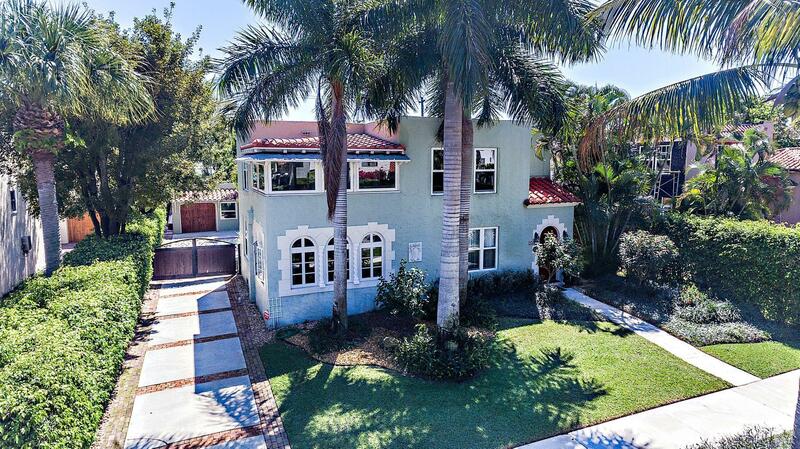 A two story guest house, a huge sparkling pool and resort style backyard make this gated estate a true mansion located in the heart of Historic West Palm Beach." "Built in 1925, this Spanish Mediterranean home was once the Bell of the Ball. 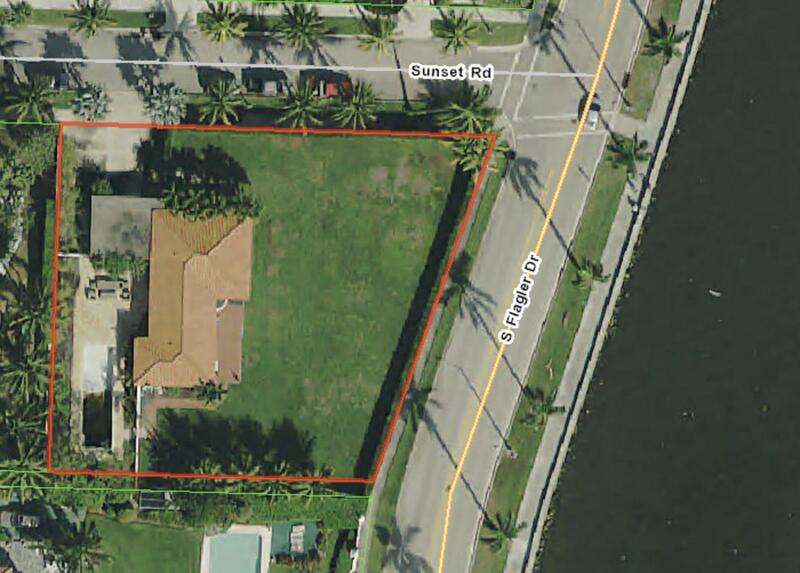 Located just 1 property from the Intracoastal Waterway on one of El Cid's most elegant streets. The unique large oversized property extends 195' from the street! The main house has three bedrooms and two and one half baths and is filled with architectural details from the roaring twenties including coved and Pecky Cyprus ceilings, ornate tile floors and French doors opening to numerous courtyards and private patios. The rooms are large, and the ceilings are tall, but a total renovation is needed. There's a two-story guest house above a two-car garage and room for a spectacular pool and incredible tropical garden. There's not another property like this left in Historic El Cid, sitting like a blank canvas." "Spectacular and fully restored, 1925 'El Cid' historic home with TWO full guest apartments detached from main house! 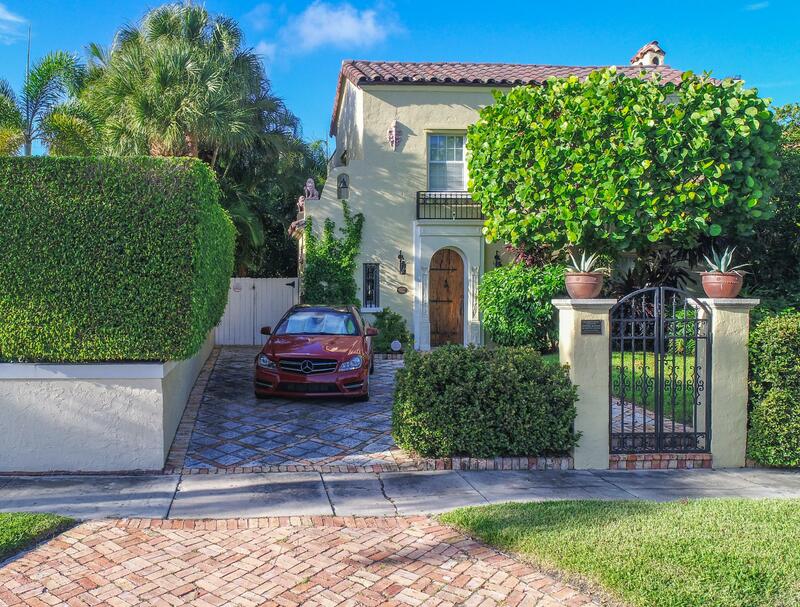 Located in the highly sought after El Cid Historic District of West Palm Beach, just south of the restaurants & shops of downtown West Palm Beach, Farmer's Market, theaters, art galleries and museums all within walking distance! Only 5 minutes to the pristine beaches, shops and restaurants of the esteemed Palm Beach island. Three bedrooms and three bathrooms can be found in the main house, along with a magnificent kitchen renovation (open layout, white/bright cabinets, two tone HUGE island, stainless appliances, Quartz countertops) Each of the apartments has separate entrance, kitchenette and bathroom. Partial impact windows and original wood flooring throughout!" "One of EL CID's finest homes! This award-winning Mediterranean Revival home, which is listed on National Register of Historical Places has been meticulously restored with high-end materials and finishes including Pella windows, custom kitchen cabinets, granite countertops and LG stainless steel appliances. 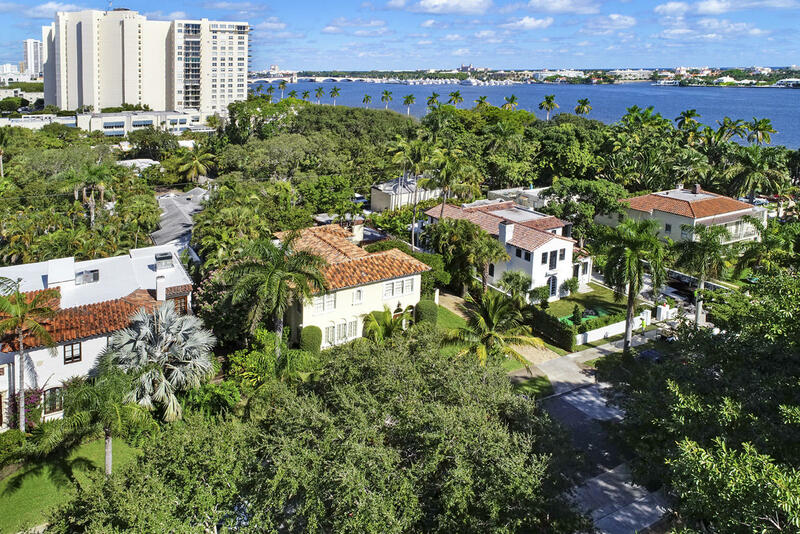 The home is located on the intracoastal lake block in the finest neighborhood in West Palm Beach and is featured in the Guide to Florida Historical Walking Tours Book by Roberta Sandler. The home is very well built using hollow-tile construction - a form of construction sought after by many home buyers. The house won an Architectural Excellence award by Home Building Magazine." "Exquisite simplicity defined in the outstanding renovation of a classic 2 story Mediterranean style home in the heart of El Cid. This 3BR/3.5BTH home features designer interiors, impact windows, gourmet kitchen, large family room, detached guest cottage, garage & new pool. Period details are noticeable from the moment you arrive. A winding walkway leads to the original arched, pecky cypress front door opening to the spacious formal living room with original fireplace. Immediately the abundance of light filled rooms is evident as hardwood oak floors flow throughout. French doors lead to the Florida room with original Cuban tiled floors, archways lead to the formal dining room and the large family room with cypress beamed ceiling. The renovated chef's kitchen with butler pantry connecting to"
"2739 S Olive is on a large 95 x 125 lot and part of one of the first platted districts in the city. There is a formal foyer with defined rooms (see floor plan). The home was renovated in 2004 and is constructed of clay hollow tile with original windows. The renovation included the kitchen, 2 bathrooms, plumbing and electrical systems. Newer roof, AC and gas water heater. There is an 800 square foot expansion approved by the historic board which conveys to the new owners. The secondary building can be renovated into 2 apartments, one apartment and summer kitchen/cabana, or garage, etc. The property lives like an in town oasis...come make it your own! Motivated seller!" 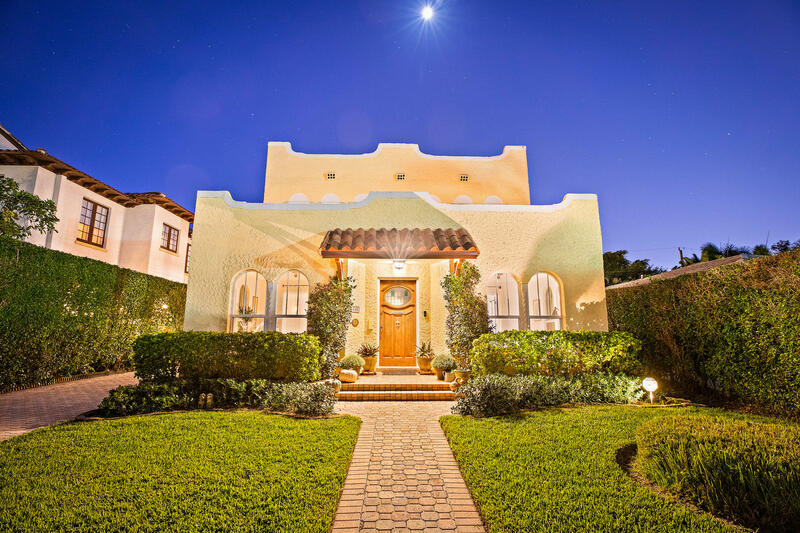 "Beautifully restored Mediterranean style home with 2 rental cottages in the coveted El Cid neighborhood. The main house is 3 bedrooms and 3 baths, with a large 1/1 cottage above the garage, a studio apt. on the 1st floor and a 2 car garage. All units are separately metered. Original detail and elegance throughout, with updated kitchen, baths and electric. Original red oak hardwood floors, fireplace mantel and plaster work. Tall ceilings, formal living and dining rooms, with a Florida room and private yard with room for a pool. The kitchen has a gas stove and a butlers pantry w/wine frig. Built in 1923 by architect Hansell Hall and has been a family legacy for over 40 years of ownership, with the original pecky cypress front door. Recently painted and updated throughout in 2016." "This is a unique pre-appraised and pre-inspected one of a kind jewel priced for quick sale. First time to the market in over 40 years. 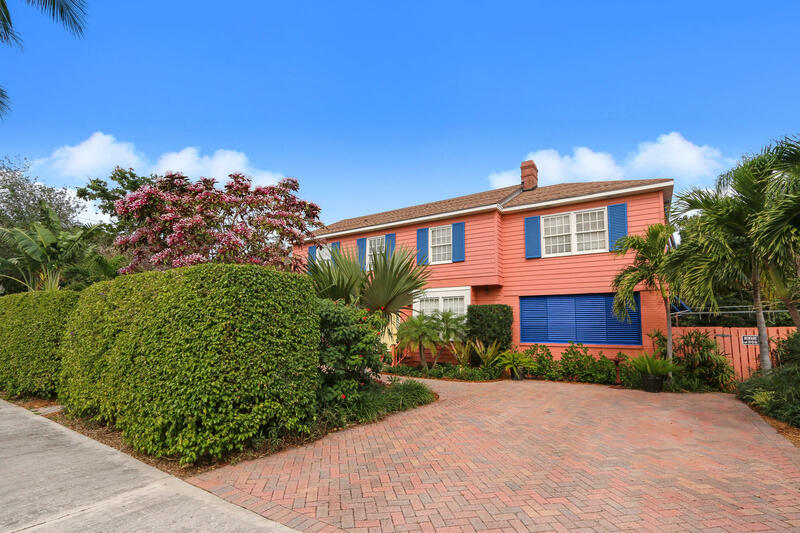 Set in an unbelievable tropical setting of lush and winding gardens, ponds and decking this Island influenced home is perfect for the large family looking for close proximity to the ocean and intracoastal. Designed with one spacious bedroom downstairs and 5 oversized bedroom upstairs. 2 bedrooms share a jack and jill bath the other each offer a private bath. The downstairs boasts a private dining room as well as living and family area with a wood burning fireplace. All this in addition to a quaint attached apartment with private drive way for the nanny or out of town guest. Step back in time and enjoy the 1930 influence of this true treasure." "Built in 1926, this newly renovated El Cid home offers 3 bedrooms/2 baths in the main house with a separate 1 bedroom/1 bathroom cottage. The cottage is perfect for over flow guests, home office, live in Nanny or as a legal rental. The house boasts original hardwood floors, high ceilings, and hurricane-impact windows and doors. 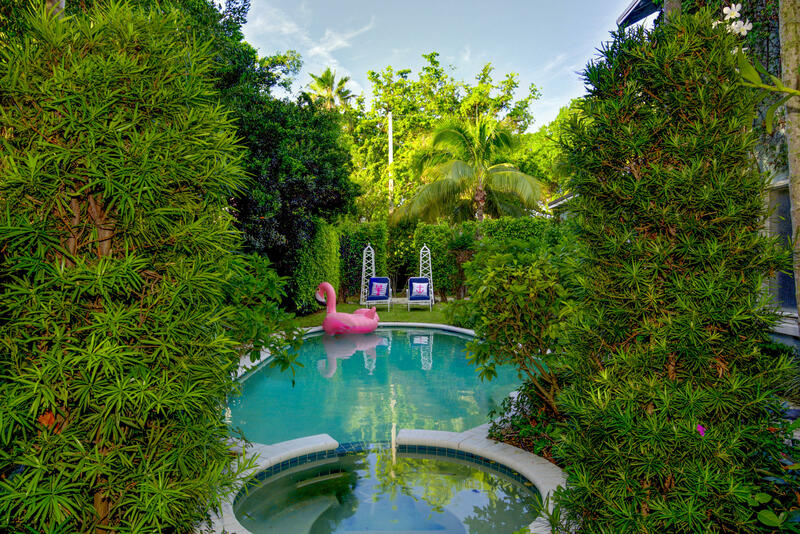 The rear facade offers a stunning pool with a lovely water feature surrounded by tropical, lush gardens. This home exudes charm with graciously detailed architecture and archways." "Heart of EL CID! 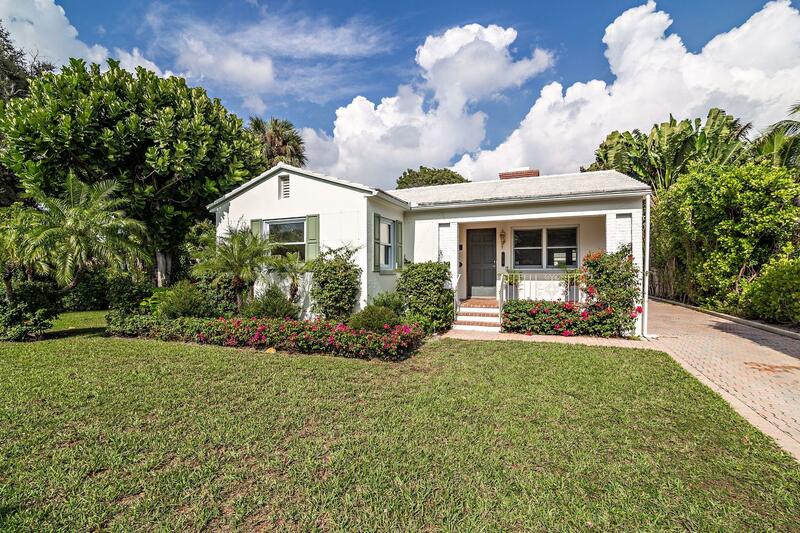 Fantastic renovation of this 1940's, 3 BR/3BTH residence with 1 BR/1BTH guest cottage on a spectacularly lush & large landscaped lot. This immaculate home features hardwood floors, fireplace, and designer finishes throughout. The covered entry opens to a polished living room and open floor plan with dining room, sunroom and gorgeous kitchen with Viking appliances, Vermont soapstone countertops and custom cabinets with stainless steel sink. The dining room/ Sunroom has exquisite honed Spanish marble floors, and the baths have decorator finishes from the handmade tiles and marble floors. The guest cottage is superb with equally finished kitchen and bath! The large private yard can accommodate an oversized pool, as well as, additions to the home. This is a home to enjoy!"